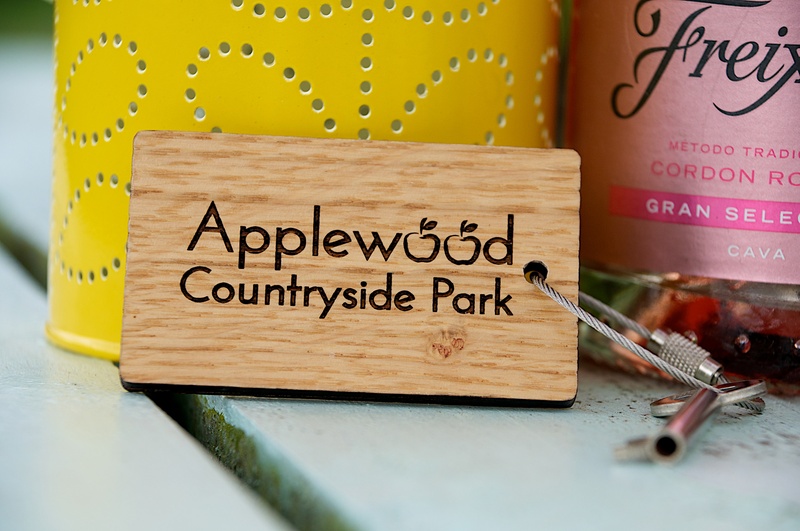 Put your bags down, take it easy on the terrace and enjoy the first moments of your stay in one of our luxury glamping pods; your home away from home! Our warm and cosy pods provide comfy, spacious and secure accommodation offering you all the fun of camping but with more protection from the elements. These environmentally friendly pods are fully insulated with glazed french doors opening out onto your own outdoor terrace providing the perfect space to sunbathe, enjoy a sandwich or just watch the world go by. Carpeted inside and with a heater, lights and electrical sockets, we have two Standard Pods which are suitable for up to 4 people. You still need to bring all your usual camping equipment, just not your tent! Standard Pods start from £35.00 per night. 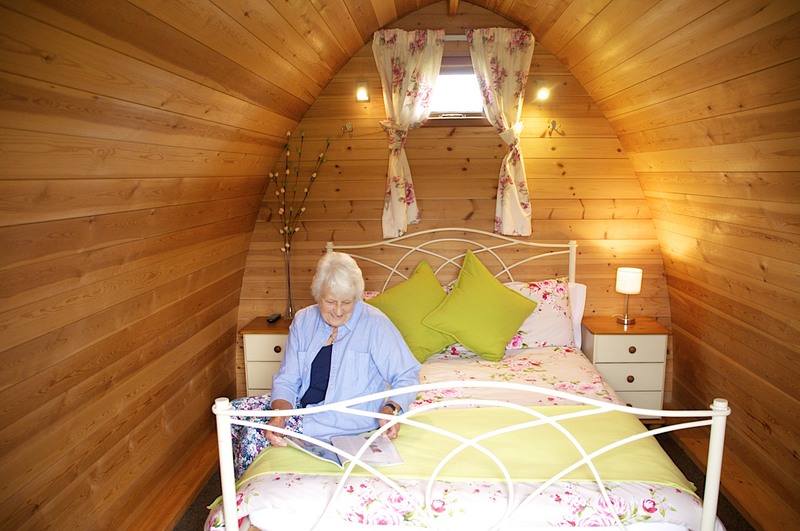 Our Posh Pods sleep 2 people and are fully furnished so you can enjoy all the comforts from home whilst still experiencing the joy of being in the middle of the countryside. We have three double bed pods and a twin bed pod with everything included from bed linen and a digital TV to table, chairs and a mini-kitchen (fridge, kettle, toaster, microwave, crockery and cutlery). You only need to bring a towel! 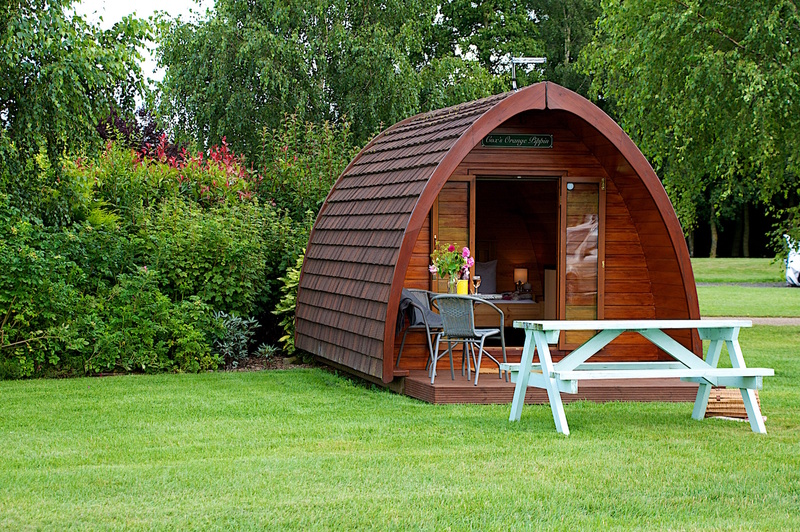 Posh Pods start from £45.00 per night.